The Smartlock Pro Self-Test GFCI automates the testing process by performing a self-test every fifteen minutes. It adds an extra level of safety, testing itself to confirm that protected power is available. 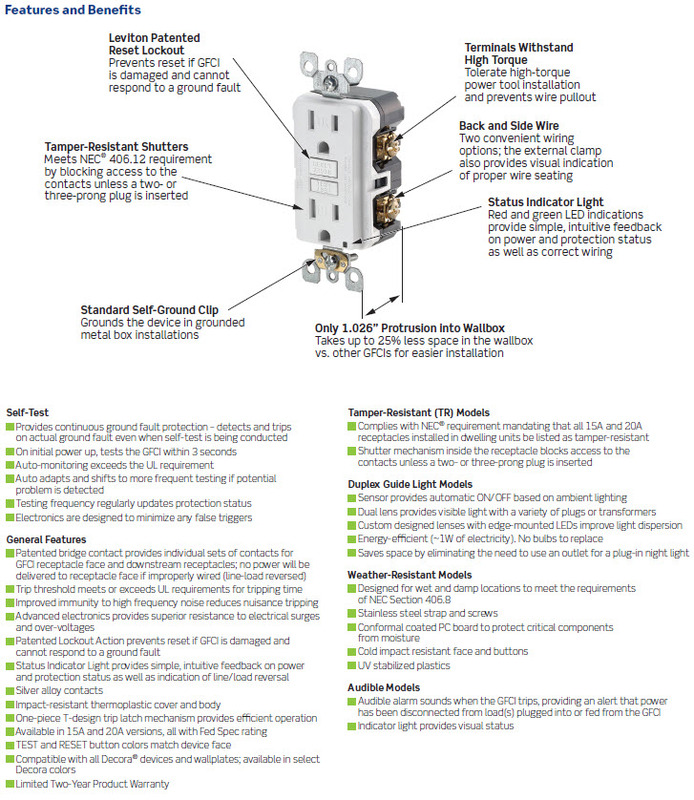 Two LED indicator lights, as well as an audible alert, provide real time status and Leviton's patented reset lockout feature prevents RESET if the GFCI cannot respond to a ground fault. 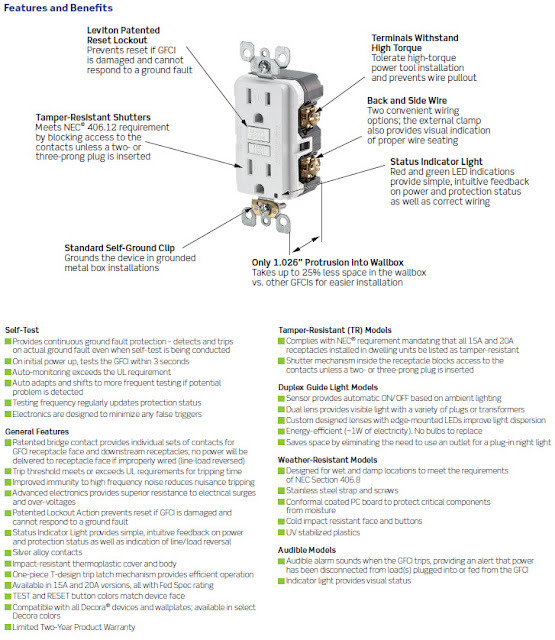 Leviton's slim design takes up to 25% less space in the wallbox as compared with traditional GFCI receptacles. New CSA product standard requirements are mandatory as of September 29th, 2015 and from that date on, only the self-test model can be manufactured and certified. The current non-self-test GFCI version manufactured prior to that date can still be sold and installed after September 29th, but availability will be limited to our inventory on-hand at the cut-off date of September 29th, 2015.